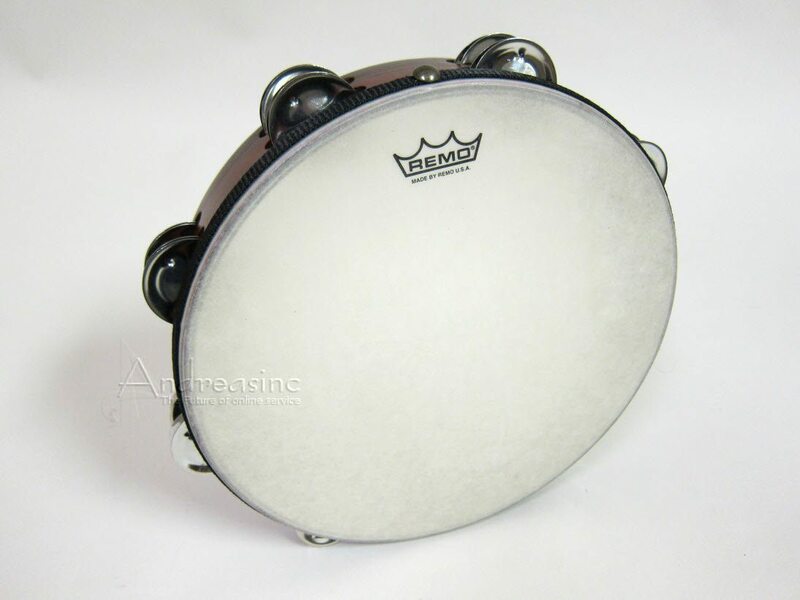 Remo Gospel tambourine is tuned to a midrange pitch that cuts through any choir or music ensemble. 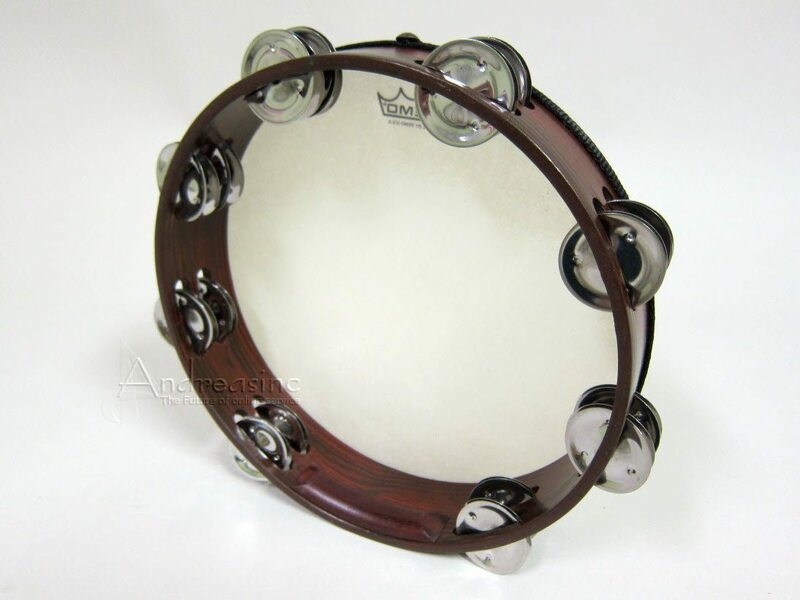 This is a lovely tambourine. It is so comfortable to play. I own three, and the pitch on this is perfect for me!! 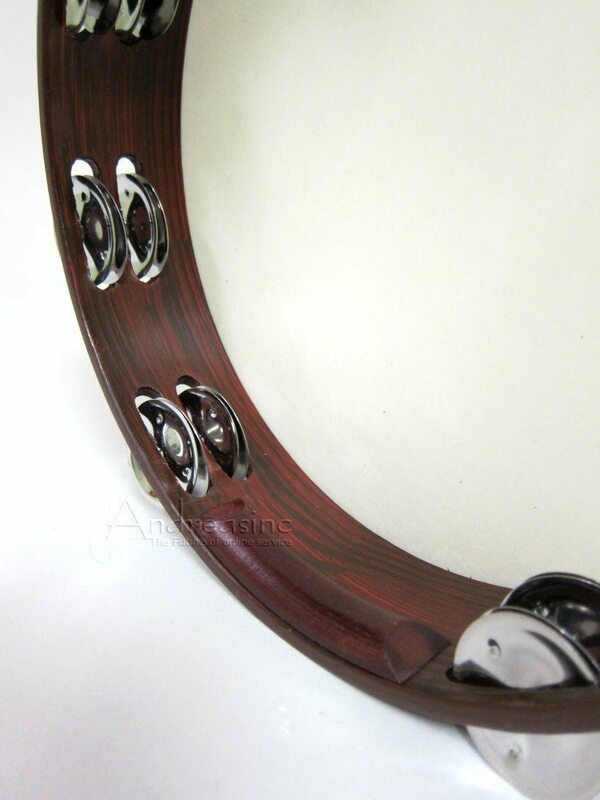 My sister bought me this tambourine for Christmas. 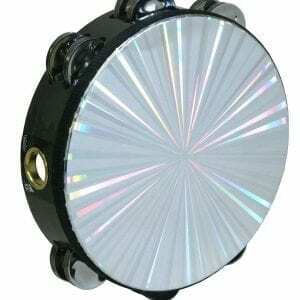 I had been eyeballing it months before, and arguing with the salesmen about the price differentiation. 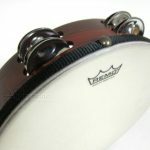 I spent a few hours in the store testing different timbrels out and came across this one with the drumhead style skin! Perfect for some serious praising!! 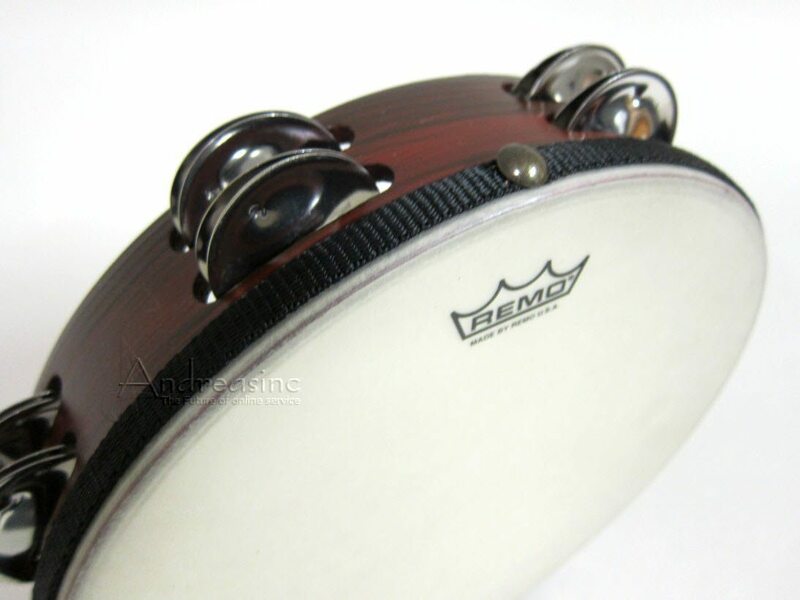 I see many timbrel players bust the head off there timbrels because its made out of plastic or some other material. 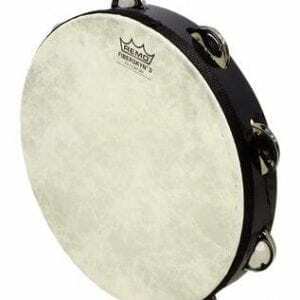 But this one is the classic long-lasting for aggressive playin timbrel. 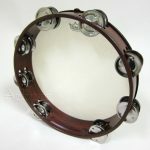 Everybody at church eyeballs my tambourine. I had my name engraved on mine! This is top of the line!! 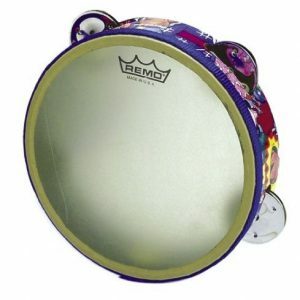 Can't got wrong with REMO Nuskyn timbrel. Any real musician will tell you, you got your monies worth. It will last a long time!! 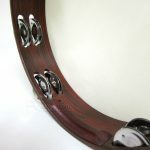 I expect to Praise the LORD along time with this Tambourine! !